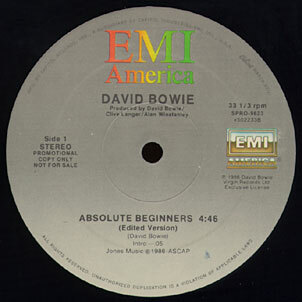 David Bowie - Illustrated db Discography > Absolute Beginners 12"
Gatefold sleeve of the Virgin VSG 838-12 12". 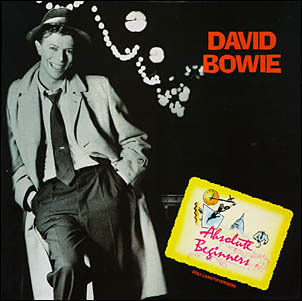 The sleeve is identical to the commercial 12". This edit (4'46") is shorter than the regular single mix (5'42").